After the 2016 election, I not only felt defeated, but I felt raw and shocked and a bit stupid. I hadn’t done a damn thing to advocate for the causes I cared about, so it was no wonder they lost. That was a bitter lesson. After the 2018 election, I feel empowered. Winning certainly helps. But I was also involved in these races. We had major wins in our local races, which is where I spent most of my volunteer time. And I think that sense of empowerment is greater than any sense of victory. Because I also know what empowered loss feels like. We lost a hard primary, one where I thought I would regret all the effort wasted. But you know what? A loss isn’t a wasted effort. All that energy, all that enthusiasm, all those connections—they can build something that lasts, even in defeat. In a democratic country where the people are supposed to have a voice in government, the vote should be sacred. It is a right that we should protect and encourage. We need to ensure only citizens are voting, but there should be no other hurdles to the voting booth. That’s why voting for the secretary of state is pretty important. They safeguard our elections and are the frontlines of democracy. I’m not a fan of anything that makes it harder to vote. There have been efforts around the country, from requiring IDs to closing polling stations, to make it harder to vote. I shouldn’t have to remind people that these are similar to Jim Crow-era efforts to stifle the black vote through poll taxes, tests, intimidation, and all-out cheating. Let’s be clear: Voter fraud is not a widespread problem. When Trump talked about millions of illegal votes, he was making it up. Study after study has shown this to be true. It’s voter suppression, plain and simple. And anytime a political party wants to see fewer people vote, you should be worried. Instead of making it harder to vote, we should be doing everything we can to make it easier to vote. I’m thrilled that Minnesota has same-day registration and now no-excuse absentee and early voting. I’m a big fan of even more efforts to make it easier to vote, such as automatic voter registration and a national holiday on election day (though honestly, going to work is a nice distraction on election day). What does the auditor do? They’re in charge of making sure local governments spend their money properly. Auditor is supposed to be a role focused on transparency and good government. That’s something we value in Minnesota and historically have had. Rebecca Otto is the current auditor and has served since 2007. She opted to run for governor and dropped out after losing the DFL endorsement. Fun fact: One of Minnesota’s early auditors when we were still a territory was Socrates Nelson. Now there’s a name! 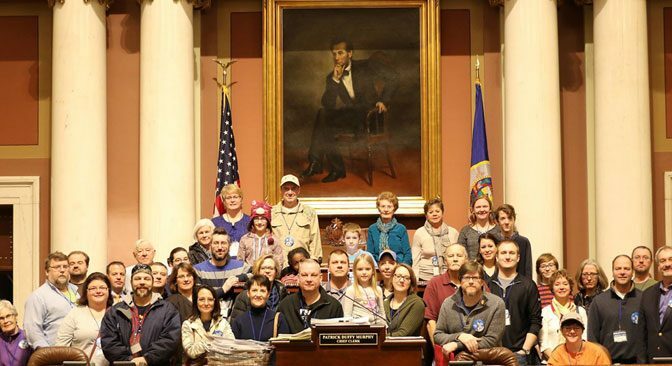 Control of the Minnesota House is at stake this year, which could mean movement on issues such as gun safety, sexual misconduct, and the environment. In District 52A, I’ll be voting for Rick Hansen. District 52A is West St. Paul, Mendota, Lilydale, and the northern part of South St. Paul. 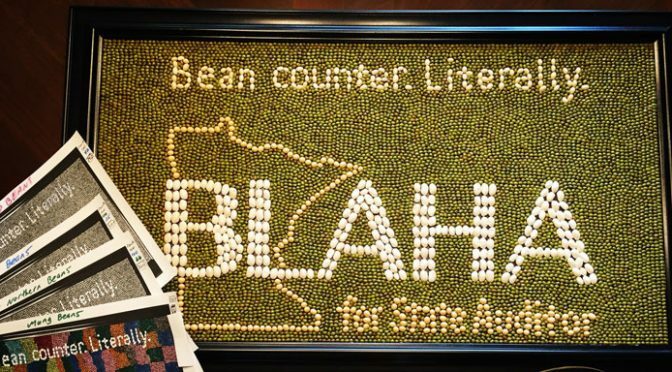 I’ve been following the governor’s race in Minnesota for more than a year. Initially I liked Rebecca Otto, but after the DFL endorsement I supported Erin Murphy and became pretty involved in her campaign. The primary loss was tough, and I’ve been much quieter about the governor’s race. We’ve got Jeff Johnson facing off against Tim Walz. There are two U.S. Senate seats on the ballot for Minnesota this year, thanks to the resignation of Al Franken. 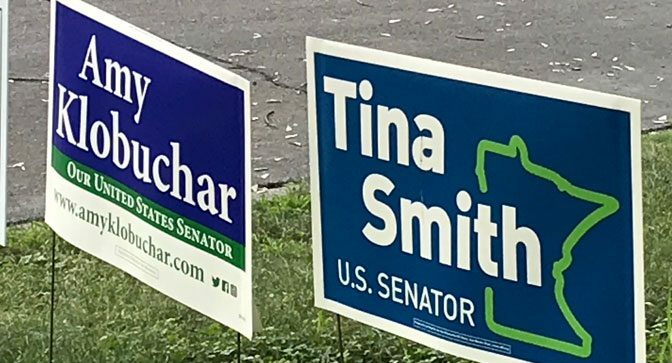 Incumbent Amy Klobuchar is up for reelection and is facing state representative Jim Newberger (and Green Party candidate Paula Overby, whom I’d ignore except she served as a spoiler in the Second Congressional race in 2016). I’ve written a lot about the 2018 election, but it’s mostly been local races. I’m hesitant to write about the federal races just because so much ink has already been spilled. I’m not sure I have a lot to add. But I guess I’ll wade in and say why I’m voting for Angie Craig. In 2016 I was not very fired up about Angie Craig. I agreed with her on the issues, but I didn’t see a lot in her campaign that excited me. I’m not sure how much of that was simply me not paying attention. Voting for judges is always kind of weird. Usually it’s the back of the ballot and there are a flood of names in uncontested races. It often feels like it doesn’t matter. But then there are a few contested races, and it definitely matters. Unfortunately, no one has talked about it, so if you haven’t done your research (and brought it to the polls), these judicial races can be challenging. County commissioner? Now there’s a race people don’t know much about and aren’t very excited about. While this can be a snoozer of a race, it’s important because county services really fill in some of the gaps between the state and the city. Here in district two (West St. Paul, South St. Paul, Sunfish Lake, and parts of Inver Grove Heights), incumbent Commissioner Kathleen Gaylord is facing South St. Paul city council member Todd Podgorski.